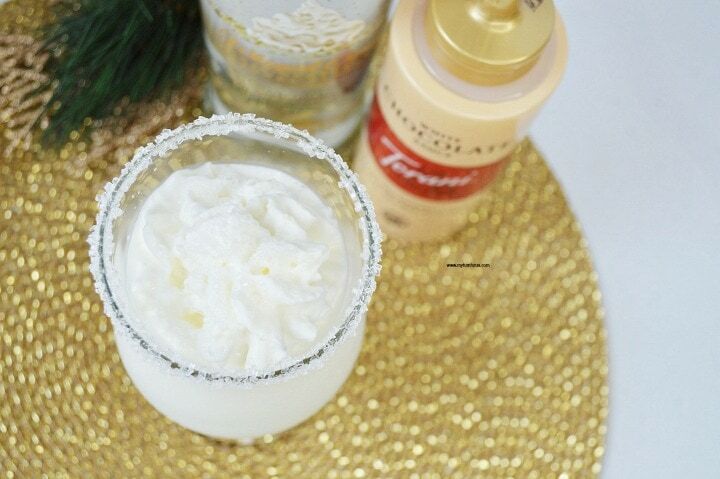 This Snowflake Cocktail is our version of a White Chocolate Martini. 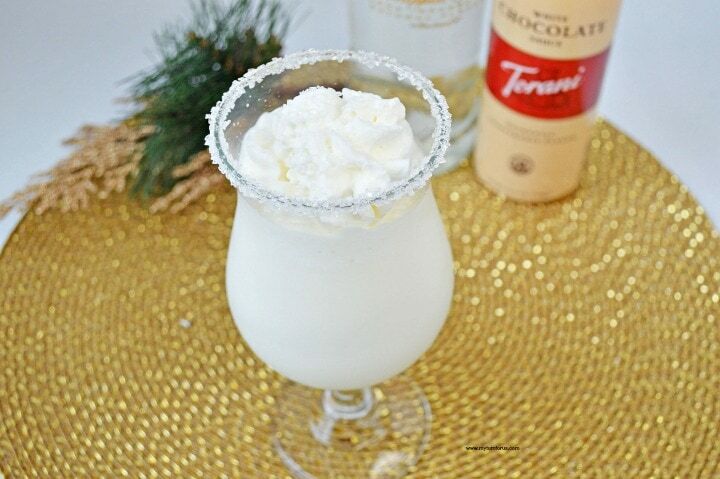 These Snowflake Cocktails are at the top of the list of Christmas Chocolate Cocktails. This post may contain affiliate links which means if you make a purchase then we might receive a small commission at no additional cost to you. These scrumptious Chocolate cocktails are the result of a dessert and a cocktail coming together perfectly for the most delicious of Christmas Cocktails. 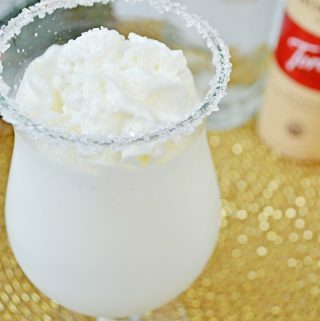 It’s made with cream vodka and chocolate syrup and topped with whipped cream to make the best Snowflake Cocktail. 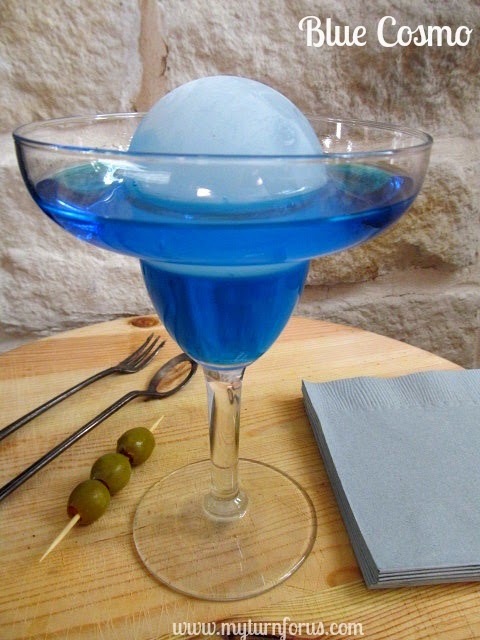 These Snowflake cocktails sparkle like newly fallen snow and are best enjoyed next to a cozy fireplace. Just speaking from experience here. It only takes a few minutes to mix these up. And you could even top it with homemade topping using a whipped cream maker. Start by pouring a little light corn syrup on a saucer and adding sugar sprinkles on another saucer. Dip the hurricane glass into the syrup making sure the entire rim is coated. Then dip it into the sprinkles creating a sparkling rim around the top of the glass. Add the remaining ingredients and gently stir being careful to not disturb the sparkling rim. And then top it with whipped cream to create one of the best Christmas Cocktails ever. These Chocolate cocktails are outta of this world heavenly. And we bet you will be enjoying them from Thanksgiving to New Year’s Day. But if you start before then or go over we will not tell. This is a sinfully delicious winter luxury. 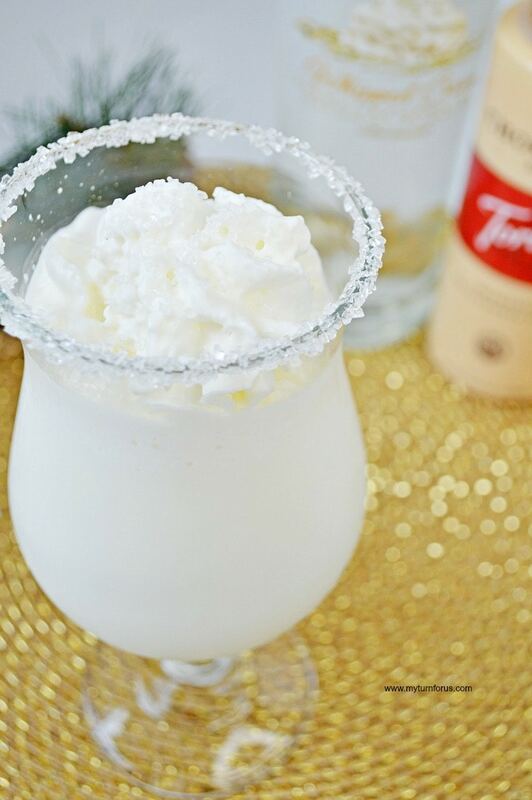 Whether you call them Snowflake cocktails or a White Chocolate Martini this little sweet beverage will make your heart happy. 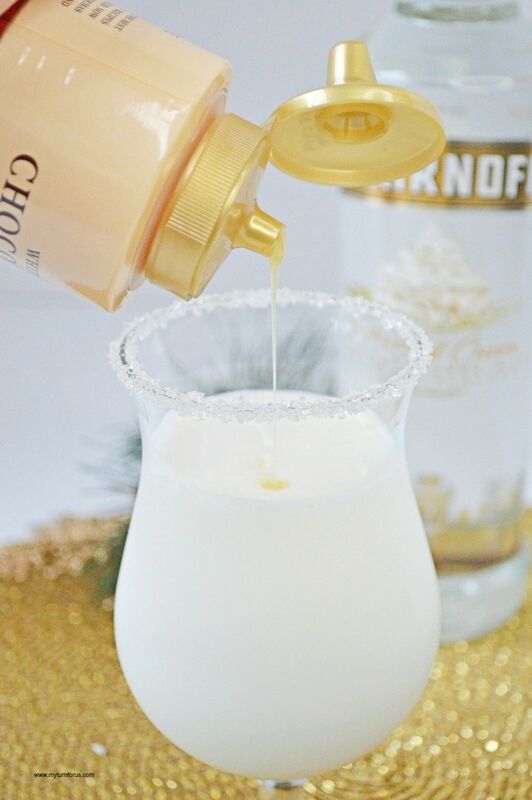 We love Chocolate Cocktails but this Snowflake cocktail is at the top of our list of Christmas Cocktails. 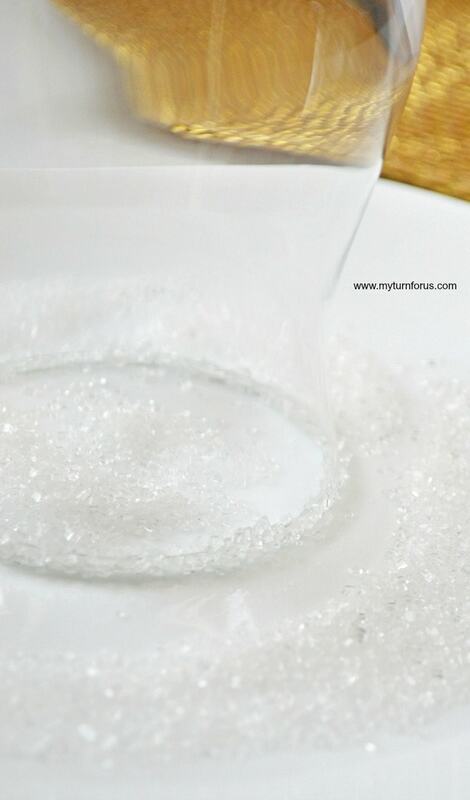 Pour corn syrup onto a small plate, and do the same with the sugar sprinkles. 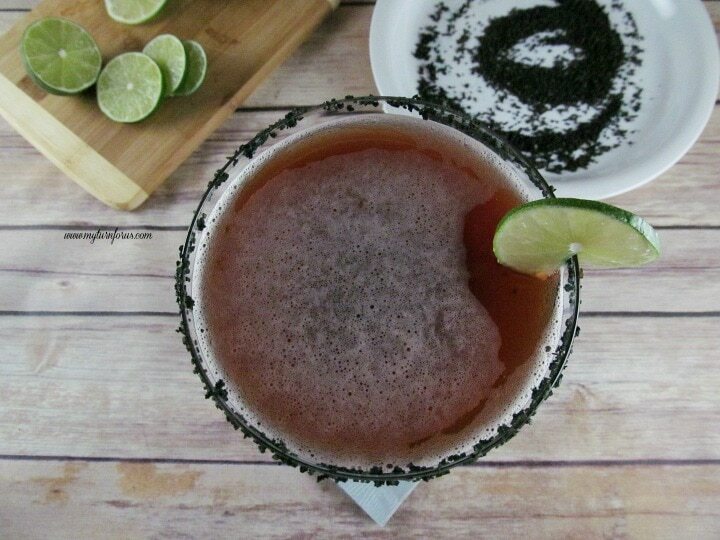 Dip the rim of your glass into the corn syrup, making sure the entire rim is coated, then dip into the sprinkles. 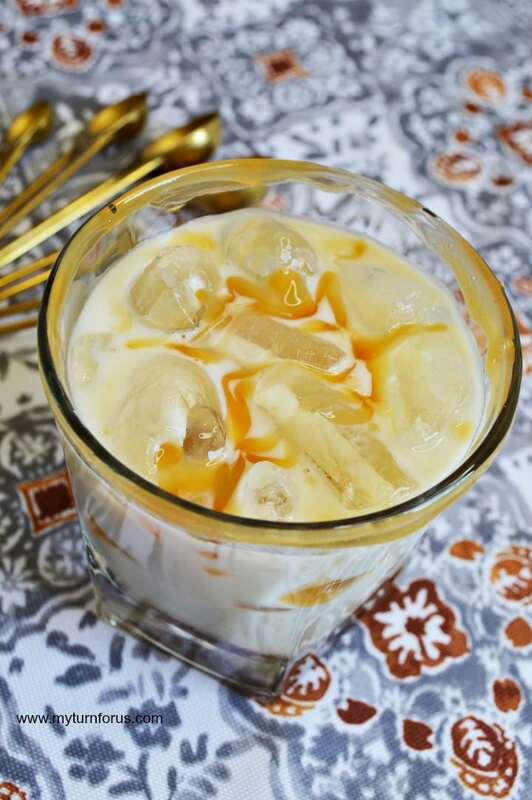 Add ice, milk, vodka, and chocolate sauce to your glass. Top with whipped cream or marshmallows.